Double or full beds are just big enough for a pre-teen, teenage child, or a guest room. There are many cheap options for double beds, but it is important not to sacrifice quality or comfort when making your choice. 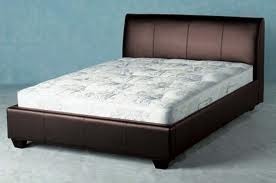 You can purchase a complete bed with mattress and box spring, or purchase the frame of the double bed. The overall prices are very cheap (often less than $400). The key to finding a great bargain is to research your options and comparison shop. A great way to save money on cheap double beds is to order online. Several stores such as as Target.com, Bedbathstore.com and Walmart.com offer cheap double bed options online, including the bed frames and mattresses. Remember to shop around for the best deals. Target’s website has a number of cheap double beds that are usually on sale on the website and prices are constantly being slashed. Special offers such as free delivery and cheaper prices are available on the items with the ‘bull’s-eye’ logo, so be on the watch for these special deals. There are a variety of charming options including wooden and metal frames in all sorts of designs. Be sure to look for big deals or just wait for sales that become available on the website. Bed, Bath and Beyonds website, Bedbathstore.com, offers cheap and beautiful beds. These may not be as cheap as those offered at Walmart or Target, but they are still an inexpensive option. Some beds are leather-upholstered in various colors, some are outfitted with canopies, and some have plenty of storage but all have a certain charm. 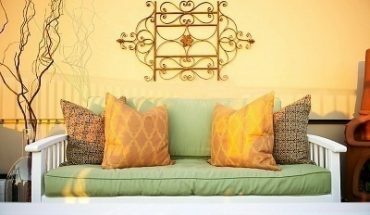 You will find that beds geared toward pre-teens are cheaper than the more mature-looking ones but this can be easily solved. If it is to your liking, purchase a child’s bed and style it for a teenager or adult. Walmart’s website, Walmart.com, offers many great deals on double or full beds. These beds vary from those for pre-teens, teenagers and even for a charming guest room. The bed frames and mattresses are sold separately but the display shows both together. Choices of mattresses are offered once a person clicks on the bed of choice. The Zone Full Bed, an ideal bed for a preteen. It is displayed under a loft bed so this is also an option for children sharing the same room. Walmart also offers low prices on Memory Foam Mattresses. The store also offers special “rollback” pricing that lowers prices at random times while the item is in stock. If you are purchasing online, be sure you understand shipping costs. These websites usually offer free shipping on items over a certain purchase price, but this is not always the case. You might negate your savings if you have to pay a high shipping cost. However, in many cases you will need to pay a delivery charge if you make your purchase in the store, so the price difference might not be that extreme.